Are you looking for pdf sharing sites? PDF sharing is a great way to leverage your content with pdf format. Already, we have tried out the formula of e-book marketing. We can use pdf sharing sites to run our link building campaign. This can make differences in serp. You already heard about advanced search engine optimization seo. But thinking, how you will start? Basically, advanced level are higher stage compare to basic level. By example, directory submission is the basic stage of seo. But pdf sharing sites is the advance level of SEO. I searched on google pdf & document sharing websites as far as i can but didn’t get enough high quality pdf & document sharing websites list. But still there is a hope. I found 10 and they are verified and well researched. I already used this pdf sharing sites list. Some of them, you need to register and after that you will able to submit your document. I have already mentioned above that, pdf sharing sites can be used to do link building. You can also use video sharing sites. These days this strategy marks as advance level of seo. Many people are trying to build links with pdf sharing sites. Increase referal traffic for your website. Most of them have high page rank. You can get some real page juice from this pdf & document sharing websites. Your link must be with do follow attribute. Then you will see the change in next page rank update. Your link must be with anchor text. You must need to follow the anchor text variation. Then you will see, your secondary keyword is raking also. In this you can increase your website’s traffic. If you are using lots of links in your one pdf file, then try avoid it. Not more than 2 links. One link for your home page and another one for your targeted webpage. Try to create grammartical error free content file. You can hire some professionals on freelancing sites. Use at least one image that is very informative and descriptive. Article’s length must be 600 words long at least. The more you write, the more you win. See Also: How Many Articles You Should Post? I have already mentioned you that if you want to get high page rank in next page rank update, then you can use this pdf sharing sites. Becasue they have high page rank and do follow. 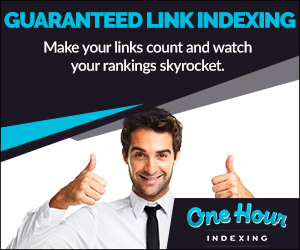 Definitely a link from these high page rank websites can pass some link juice for your website. And remember one thing, every step that i have mentioned on “how pdf & document sharing websites works & How you can do it” try to follow then very seriously. I am over sure, if you can do it, then your keyword position will definitely change in serp. Don’t be panic. Just do your work very nicely. Just think it, if you make your documents worthy ,natural and human readable, then why you will not see the success. After all, you are going to spend lots of quality time for it. Above I tried my best to give you best quality pdf and pdf sharing sites list. You must include your keyword with url. It will increase your referral traffic and will increase your search engine ranking position.